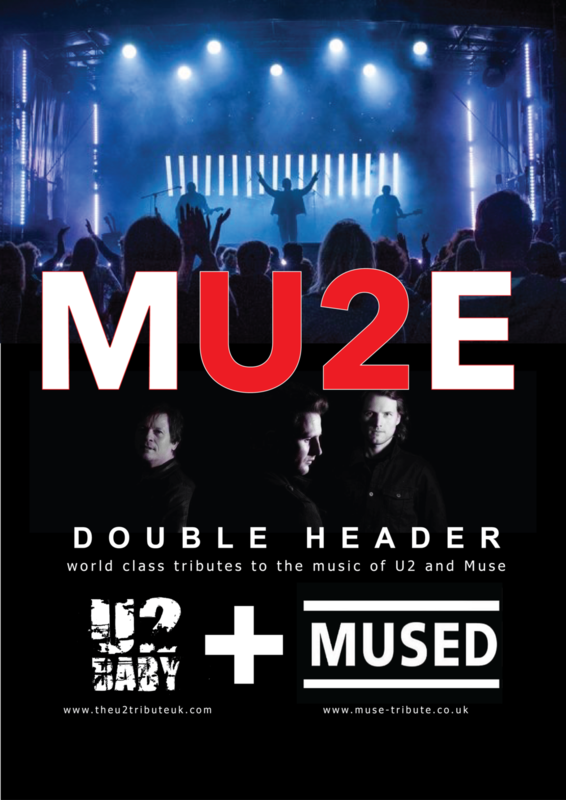 Combining two of the best tribute bands in the UK into one show, MU2E is a world class tribute to the music of U2 and Muse. Not only do these guys sound like the original bands, they look like them too. Recreating the biggest and best moments from stadium rock history, MU2E entertain audiences at tribute venues, theatres and large festivals worldwide. The show features one hour of U2 and one hour of Muse. It can be delivered as a fully standalone show, or integrate with your in-house PA and lighting. U2Baby: playing venues from the world famous MAD Club in Lausanne, Switzerland to headlining Manchester's 80sFest, U2Baby are the U2 tribute booked to play at the Church for the U2 40th Anniversary celebrations in Dublin, September 2016. U2Baby pride themselves not only on recreating the sound of U2, but the look, the attitude and most importantly the feeling of being at a live U2 gig. MUSED: a UK based professional tribute act who excel at providing an authentic Muse concert experience. Muse themselves now rarely perform at anything smaller than arena capacity, and Mused offer the opportunity to get up close to the action! MUSED accurately recreate all of the favourite Muse tracks, From the moment the show opens to the encore you will believe you are listening to, and watching Muse themselves.